And is that a nod to Dove at the end? Apple, the company that remade the music business, is often at its best in its TV commercials when it grabs a good soundtrack and just rocks out. The prime example, of course, was the iPod campaign, in which Apple celebrated its game-changing device from the very beginning with glorious ads that made instant successes of songs—and all but acted as a playlist for the culture. The new 90-second iPhone 5S ad, which broke Tuesday night on (not coincidentally) NBC's singing competition The Voice, has a bit of that same spirit. 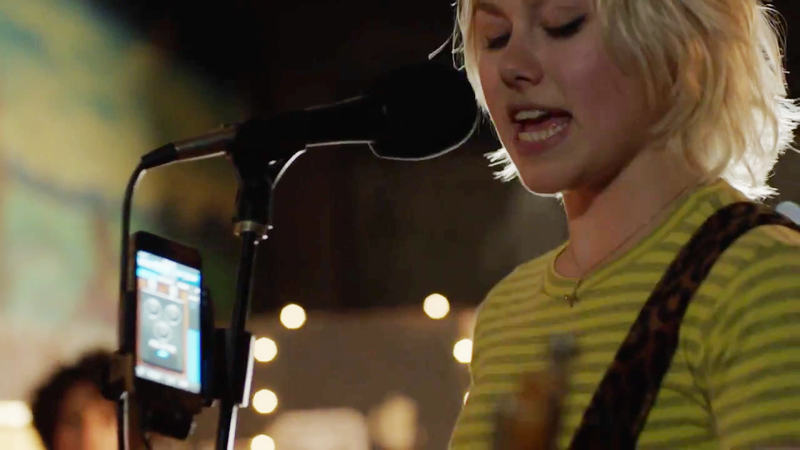 It uses a reworked version of "Gigantic" by the Pixies—the band's first single from way back in 1988—to show how the iPhone and its apps can integrate into musical performances and the recording process (and do some other neat things, too). Later, we see the iPhone in non-musical capacities, too—it is pitched as everything from a simple video recorder to an image translator, a heartrate monitor and even a rocket launcher. The opportunities are gigantic, the spot seems to say, and will certainly make you feel big, big love for the device. The ending fits into Apple's recent trend of borrowing from others. But at least it's borrowing from itself here, too. And whatever the provenance of the lyrics, if it's empowerment they're after, they could do a lot worse than this particular Kim Deal song.